What is The Process For Filing For a Divorce? The complaint begins the divorce action. It states the facts of the case and the relief that the filing party is requesting (for example, custody of the minor children, child support, a share of the property). You will have an opportunity to read, review and ask questions about the complaint before it is filed. The party that files the complaint is the plaintiff and the other party is the defendant. When the complaint is filed, the county clerk’s computer randomly assigns a judge to your case. Once the complaint is filed the defendant is served with it, along with the summons and in many cases orders and/or motions. The summons notifies the other spouse that he or she has been sued and tells him or her where and when to answer and that a default may be entered if he or she does not appear and answer. The summons is served by mail (certified), by the defendant appearing at our office and signing for service or by a private process server. The plaintiff is the party who starts the lawsuit by filing the complaint. The defendant is the opposing party. Under certain circumstances one party may want to act quickly to file first. For more information about whether you should file before your spouse, contact our attorneys at 313.582.5800. YPrior to filing a complaint for divorce, a party must reside in Michigan for at least 180 days and in the county where the complaint is filed for at least 10 days prior to filing the complaint of divorce. The divorce may not be finalized if it involves minor children until six months after the complaint is filed. In a case in which no minor children are involved, the earliest is 60 days. The time starts to count on the day the complaint is filed. Aside from the legal requirements, the length of time your case will take depends on factors specific to each case. For more information about your case, contact our attorneys at 313.582.5800. The cost of a divorce, like the length, depends on the specific facts and circumstances of each case. For more information and to speak to an attorney about your case, contact us at 313.582.5800. Do I have to go through the Friend of the Court? If either party in a divorce, custody or support action wants Friend of the Court services, then it is a Friend of the Court Case. If both parties agree that they want to opt out of the Friend of the Court, the judge may enter an order allowing the parties to opt out if certain factors are met. 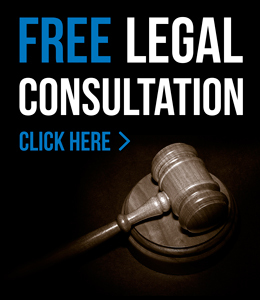 For more information about opting out of the Friend of the Court, contact our attorneys at 313.582.5800. The parties may voluntarily agree, during the Court’s two month or six month waiting period, to proceed to mediation. If the parties cannot agree to a mediator, the Court will assign a mediator. Unless your case involves domestic violence, the Court will order your case to mediation before Trial. There are two types of mediation, one with only the parties and a mediator and the other with attorneys, parties and the mediator. Mediation is a non-binding process unless the parties come to a settlement and both agree to be bound by it. Generally, the parties split the cost of a mediator. The mediator’s fees are in addition to my fees and you will be billed for my time to prepare for and attend mediation. Can I get spousal support/alimony? Can my spouse get spousal support/alimony? For more information about whether spousal support may be awarded in your case, contact our attorneys at 313.582.5800. These factors are the law and can be found at MCL 722.23. Joint legal custody is routinely awarded to both parents. Joint custody means the parties will have equal access to school and medical records. It also means the parents will consult each other on major non-emergency decisions for the child for the health, education, welfare and maintenance of the child. In almost all cases, the parties will share joint legal custody, which means that the parties must first attempt, to make mutual decisions regarding the child or children together. If the parties cannot decide, you must file a motion with the court to decide. You cannot just make the decision on your own without the consent of the other party. How can I change my current custody arrangement? Child custody orders may be modified only if there is a change in circumstance sufficient to justify a change in custody. It is very difficult to modify custody once it has been established in a court order. To speak to an attorney about filing a motion for a change of custody, call us at 313.582.5800. Child support is determined by state formula based on the income of the parents and other factors. Parties cannot bargain away or set limits on, a child’s right to receive support. The state formula is essentially mandatory unless there is a justifiable reason for deviation. Child support may include a contribution for childcare expenses through the end of the school year when the child turns 12. Uninsured health care expenses for the children will usually be divided between the parties based on the ratio of their incomes, and are determined by the child support formula. I lost my job. Can I change my child support? Child support may be modified if there is a change of circumstances. Support is usually ordered until the child reaches 18 years of age or graduates from high school (but not past the age of 19- ½). Nonpayment of court-ordered support may lead to a contempt of court citation, resulting in a jail term. If the payer is self-employed or unemployed, support collection can be a long and frustrating process.